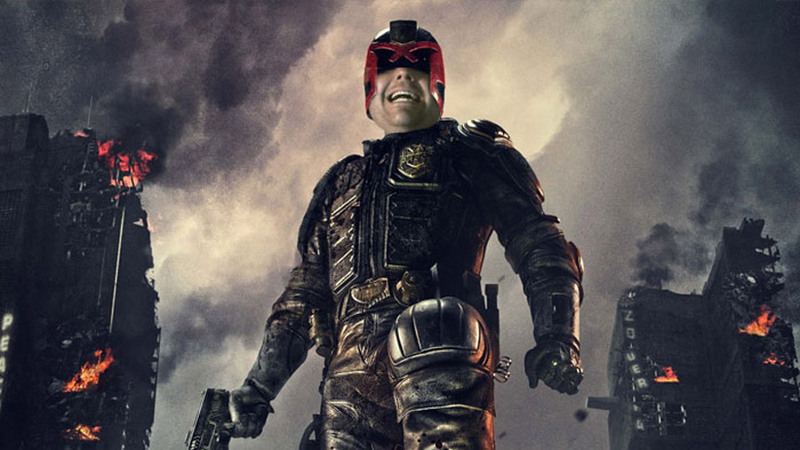 I mean, I am the Mike…Dredd - he is the law. Today’s movie was really not on my radar. I mean, I’ve been seeing it in Netflix recenently, but it was not one of those movies I’ve been meaning to see. And yet here I have on day 13. I told there’d be days like this! I really have no real knowledge of the Judge Dredd character other than I know he is a British comic book character, and he is the “judge, jury, and executioner” in some desolate future. I had never read any Judge Dredd comics. Actually the closest I was to knowing about Judge Dredd was an old Anthrax song that I didn’t even know was about him until years later! So I went into this with really with a clear look at this as just being a movie. And with that, I can say that I did enjoy it. I mean okay, there was some basic formulaic stuff in it, but what movie doesn’t have that? I like how they gave us a quick introduction to Dredd and what the world has become and then bam - we are right into the movie where Dredd and a young Judge are trapped in a giant building - basically a city unto itself - where a bounty is put on their head. So it’s a game of “get to the villain before one of them get to you” and that makes for an enjoyable action movie. And very, very violent with a lot of (CGI) bloody gunshots - almost to the point where it is cartoon-like. That kinda reminded me of RoboCop, nevermind that fact that the Judge’s kind’ve look like RoboCop to begin with, even though I know Dredd came first and that Robocop was in fact inspired by the 2000 AD comic. I also liked Karl Urban’s portrayal of the character. Never once do we see him without the mask - which I understand is just like the comic - something Stallone didn’t adhere to. He played it very dry, but not completely empty/soulless. Not sure this would be a movie I’d see in the theaters or pay to rent, but definitely worthwhile seeing on Netflix. If you have the chance and want to see an interesting/cool looking action movie with plenty of exploding heads, I say this just may be the movie for you! 13 down. 17 to go.